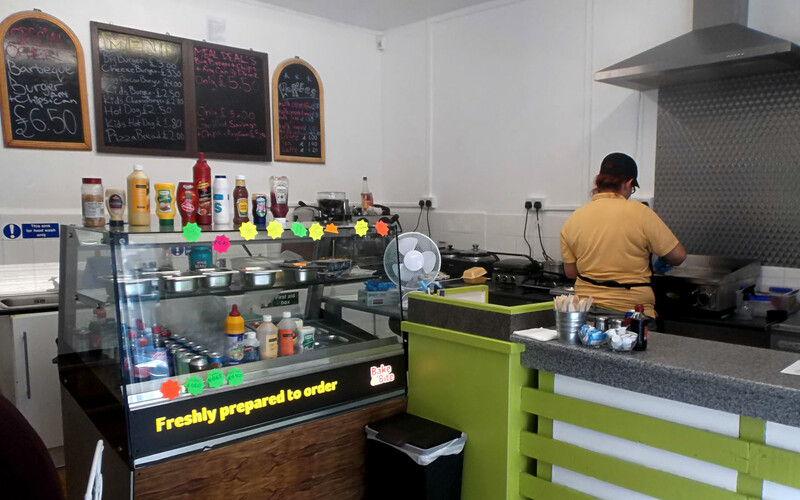 Two Polish sisters, Anna Nagiet and Magdalena Maksym, have opened a new Polish takeaway called “Sisters”. They opened for business in Wincanton High Street at on Saturday 5th September in the premises formerly occupied by The Lunch Box. The sisters have lived and worked in Wincanton for several years, working locally in the food industry. Both have a love of cooking and wanted the opportunity to set up their own business, to take advantage of their skills. They have a strong desire to introduce the people of Wincanton, and visitors, to Polish dishes that they were brought up on. That passion for traditional Polish fare will bring a wide range of delicacies which are taken from family recipes. The menu will include Polish burgers, hot dogs, dumplings, croquets, golabki (made from minced beef & cabbage in a tomato sauce), along with desserts, Polish cakes and waffles. Hot and cold beverages will also be available. Trading started with a steady stream of visitors, eager to sample their offerings, myself among them. I tried the cheese burger there and then, and took a banana and apple cake home to sample later. Both were very tasty indeed. The banana and apple cake was especially nice with cream. With a growing selection of food establishments Wincanton is fast becoming a foodie town. The opening of Sisters is bringing another unique aspect to the international food scene. Sisters, 47 High Street, Wincanton, Somerset, BA9 9JU.